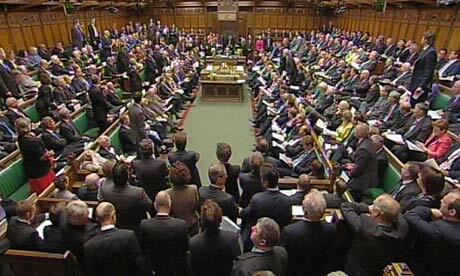 Twenty-five British members of parliament have signed a motion condemning the persecution of Ahwazi Arabs. The motion highlights the poverty and illiteracy caused by discrimination against Ahwazis and continued violent repression by the Iranian government. It also challenges Iran's refusal to implement the recommendations made by the Working Group on the Universal Periodic Review on Iran of 2010 that call for the guarantee of the protection of the civil and political rights of all, particularly dissidents and members of minority groups and the end of torture and secret detention. Echoing appeals made by Ahwazi political prisoners, the motion calls on the British government to encourage the relevant Special Procedures of the Human Rights Council to seek invitations for the UN Special Rapporteur on Iran, Ahmed Shaheed, to visit Arab districts unimpeded and interview Ahwazi Arab political prisoners without the presence of government officials and security personnel. The members of parliament backing the motion represented a cross section of political parties, including Conservative, Labour and Liberal Democrat politicians as well as representatives of the Green and Welsh national parties and Northern Ireland's Democratic Unionist Party (DUP) and Social Democratic and Labour Party (SDLP). The motion's primary sponsor was Liberal Democrat MP Sir Bob Russell following a meeting with members of the Ahwazi Arab Solidarity Network, the Ahwaz Centre for Human Rights, the Ahwaz Community Association of the UK, the British Ahwazi Friendship Society and the Canadian Ahwazi Friendship Society.